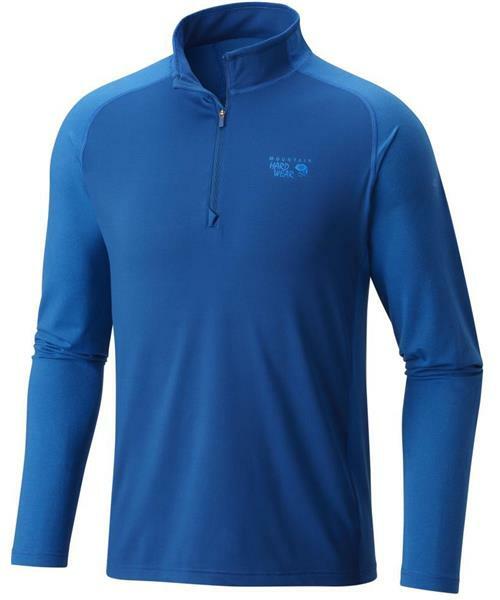 Adaptable ½-zip pullover made from Mountain Hardwear's polyester-blend stretch fabric.The New Butterman ½ Zip is made from a blended fabric that’s 85% polyester, for excellent technical performance, and 15% elastane, for stretch and mobility. Quick to dry, it’s as comfortable and easygoing as it is easy to care for--a new classic. Stylish solid-and-stripe pattern. Butterman 1/2 Zip - Mens (Prior Season) is rated 5.0 out of 5 by 1. Rated 5 out of 5 by Murph from Love the fit. My go to base layer. The fit and feel of this pullover is amazing. Keeps me warm and wicks moisture away. Love it more them my Arcteryx Rho lt.